On Babson College Week: Some cities are better than others at being green. Siddharth Vedula, assistant professor of entrepreneurship at Babson College, examines why this is. Dr. Siddharth (Sid) Vedula is an Assistant Professor in the Entrepreneurship division at Babson College. He holds a PhD in Management and Entrepreneurship from the University of Colorado at Boulder, a Masters degree in Biomedical Engineering from McGill University, and a Bachelors Degree in Physiology from the University of Toronto. Prior to his academic career, he worked as a research scientist in the medical device industry. He also helped found and manage an unmanned aerial vehicles startup firm during his doctoral studies. 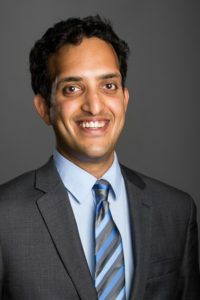 Professor Vedula comes from a multicultural background, having spent his formative years in India and the United Arab Emirates, and his adult years in Canada and the U.S. Professor Vedula’s research focuses on spatial issues in both entrepreneurship and strategic management. He has studied community level differences in entrepreneurial dynamics and ecosystems, the impacts of regional economic and social institutions on the strategic behaviors of tech startups, and the geographic diversification strategies of venture capital firms. He has published his research in outlets such as Experimental Brain Research, Urology, the Strategic Entrepreneurship Journal, and Small Business Economics. He also has articles forthcoming in the Academy of Management Journal and the Journal of Management Studies. Professor Vedula teaches undergraduate and graduate levels courses in entrepreneurship and strategic management. Commercial and residential buildings account for 39% of annual C02 emissions in the United States. U.S. buildings are responsible for more C02 emissions annually than any other country except China. Building “green”, through the use of energy-saving technologies and more environmentally friendly building materials, can massively lower our society’s carbon footprint. The most popular green building certification (or rating system) in use today is LEED, an acronym for Leadership in Energy and Environmental Design. LEED certification is issued by the U.S. Green building council, a nonprofit based in Washington, D.C. In our research, my colleagues and I looked at the first fifteen years of LEED adoption in the U.S., from 2000 to 2015. We were interested in understanding why some cities have rapidly adopted LEED buildings over this time, while others have not. In particular, we focused on examining how a region’s deep-rooted, cultural values shaped LEED adoption rates. What we found was that on its own, a regions’ culture did not directly drive LEED adoption. However, what we did find is that a region’s culture did impact the efficacy of other actors trying to enact change. For example, we found that incentives and mandates by local governments to build green worked great in cities that had a promarket cultural orientation, but were redundant in cities with a procommunity cultural orientation. Our most interesting finding was that environmental entrepreneurs, small businesses that create goods and services for this sector (e.g. a more water-efficient toilet), were able to bridge the cultural divide – they were just as effective at influencing LEED adoption in cities with a promarket and a procommunity cultural orientation. Our research highlights the conditions under which public and private actors can collectively help.